The Enrichment Scholarship was created by the AIGA SF Education Initiative to recognize outstanding design work by graduating students. It is judged by a panel of industry leaders nationwide, and winners are announced at Portfolio Day on June 4th. 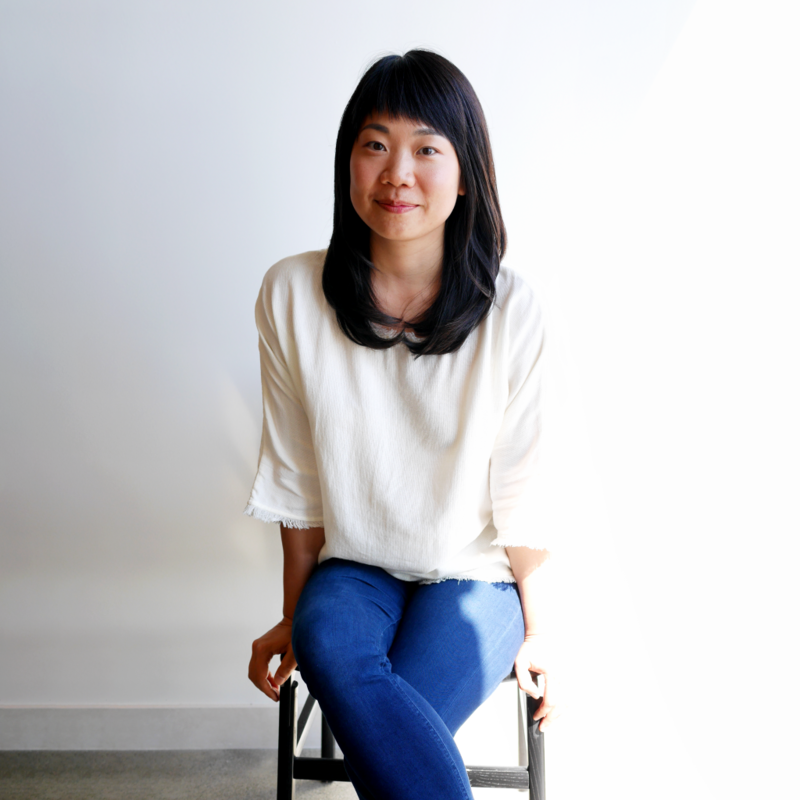 In the lead-up to this year’s event, we asked Enrichment Scholarship Judge Jayeon Kim to share her perspective on building a career in design. What drew you to UX design as a career? When I first took a design course, I was majoring in fine arts at the School of Art Institute of Chicago. It was a typography course and I quickly fell in love with design. I ended up switching my emphasis from fine arts to design, and landed my first job as a designer. I’ve worked at a few different places as a print designer, an interactive visual designer, and an interaction designer, until I eventually found UX design the most fun. With UX design, I enjoy solving complex problems and balancing multiple aspects of it—information, interaction, visual design, and user needs. What is the biggest mistake you see young designers make? I want to be careful with labeling an experience as a mistake because many mistakes can ultimately lead to success. As a younger designer, one thing I wish I knew better is the importance of shifting my mind from “what’s next” to “what’s now” and focusing on the present. Just after graduating, I didn’t think my projects or clients were good enough for me. I spent too much time thinking about the ‘Nexts’: which projects could I work on next, which clients would I get to work with next, which company and job title should I pursue next, and on and on. Especially in a city like San Francisco where a designer you might have been classmates with a year and a half ago is now a design director (likely at a startup) in their fancy pair of raw denim jeans, it’s tempting and only natural to think about your ‘Nexts’ in hopes of a seemingly successful career. While it can be useful to use those ‘Nexts’ as a motivator for the future, it’s important to remember that the way you approach your current project, clients, and role reflects who you are as a designer and will help lead you to what’s next. You’ve worked for both small and (very!) big companies—how does the size of a business impact your work as a designer? I worked at small design studios before I joined Google, so the differences I’ve experienced are not just from the scale but also from the cultures, contextual roles of a design team, and the relationship between the business and the designer. Most individuals at design studios have some sort of design background, even if they’re not designers. Since most of them speak a common design language, communication is relatively simple and efficient. Also, because most studios bill clients by time, designers are expected to rapidly generate, execute, and deliver innovative ideas all with strong craftsmanship. This can be super intense but you build up really strong confidence as a designer. Google’s massive scale allows people from an incredibly wide range of professional and personal backgrounds to work together. Admittedly, I sometimes wish they were all designers so that it’s easier to communicate with and convince them of my ideas, but often the diversity widens my perspectives and strengthens my communication skills. I collaborate in product design and development not only by providing creative direction, but also by integrating wide-ranging technical and business aspects. Timelines often fluctuate because of design or engineering requests, and schedules are very interdependent. Because there isn’t a linear connection between time and money, designers don’t feel as obligated to validate their productivity every hour of every day. What is the most important thing you’ve learned about receiving design feedback? Many designers, myself included, struggle with design feedback because our design is our baby. Who wouldn’t get attached to their newborn baby? What’s easy to forget, though, is that we didn’t create the design to serve our own self expression (that’d be art) or prove our own smarts (that’d be the Mensa test). We design to serve specific needs of our users. Since it’s almost impossible for one designer to represent the individual needs of each user, it’s really helpful to listen to other people’s perspectives (although sometimes with grain of salt). A useful tip in receiving design feedback is to be open to the mindf*ck of putting your very best forward when creating something out of nothing and then embracing the right time to incorporate different perspectives into your design. AIGA SF is committed to enhancing the quality and diversity of design education. The Enrichment Scholarship was created to invest in the future of our students and their education. The scholarship is awarded annually to graduating students with outstanding work. Schools with active AIGA student groups nominate the best work of their graduating class to be considered, and winners are announced during AIGA SF’s annual Portfolio Day event. Known as the best portfolio review on the West Coast, it is an opportunity for graduating seniors in design programs and graphic design professionals looking to make a change to get valuable one-on-one feedback on their portfolios and career goals from some of the Bay Area’s best designers. To attend this year’s event, register at http://bit.ly/1sclkVC. If you are a professional with at least 5 years experience and share AIGA SF’s commitment to education and professional growth, consider signing up to be a Portfolio Day Reviewer. Email education@aigasf.org to be included in this year’s event. At Google, Jayeon is responsible for developing and leading meaningful digital experiences that put users at the forefront. Instituting a blend of creative and strategic thinking to every project, she collaborates with designers, product managers, and engineers to deliver engaging products and services. Prior to joining Google, Jayeon worked at multiple design studios and was responsible for interaction and visual design for clients such as Sony, Hawaiian Airlines, Electronic Arts, Chevron, Chipotle, and Coca-cola. Christine Liao on May 30, 2016 .